Schneider’s global corporate headquarters is located in Green Bay, Wisconsin. Combined with the surrounding area, more than 1.2 million people call Northeast Wisconsin home. 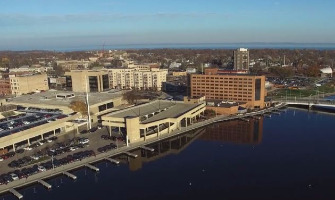 Friendly people, award-winning schools, world-class sports, a refreshingly low cost of living, minimal traffic, unbeatable trails/parks and lakes, and best-in-class fish fries are just a few of the reasons people make Green Bay a great place to live and work. Whether you’re looking for theatre, live music, history or art, Green Bay and the Fox Cities have you covered. Here are a few of the great venues and events for arts and entertainment. Wisconsin might be best known for its cheese and beer, but the culinary diversity beyond that is impressive. Green Bay and the surrounding area have many hidden treasures. From microbreweries, fine dining, brunch and coffee shops, Green Bay offers a diverse selection that will be sure to satisfy everyone's cravings. With a growing trend toward utilizing locally grown produce and only the best ingredients, Green Bay's restaurants are sure to deliver. Green Bay and the Fox Cities get four distinct seasons, and with that, many fun and exciting ways to enjoy the great outdoors. Go exploring on the extensive trail system, take an adventure throughout our many state parks or hit the links at a local golf course. In the winter, enjoy snowmobiling, skiing (cross country or downhill), ice fishing and much more.